LATEST UPDAT: Good News !! Bihar Revenue Department & Land Development Department has issued Notification for Amin, Kanungo & Other Various Posts. Online Applications has started from 11 March, 2019. Download Notice & Apply Online from link below…. Bihar Government has created New 711 Vacancies of Circle Inspectors in Revenue & Land Development Department. These Vacancies will be Regular & Direct Recruitment will be done on these Posts. 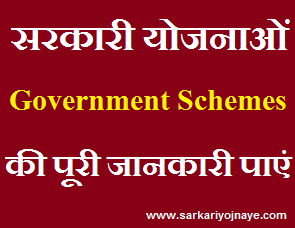 Bihar Staff Selection Commission can make Recruitment on these Posts. Details of Vacancies, Age Limit, Educational Qualification is provided below…. Age Limit (as on 01.01.2019) : Age Criteria 21-37 years for male candidates and between 21-40 years for female candidates. Download Official Notice for Age Criteria Details. How To Apply : Candidates need to Follow given Steps to Apply Online for Bihar SSC Circle Inspector Recruitment 2018. Candidates can Apply under Online Mode from the Official Website (http://lrc.bih.nic.in). Link for Online Application & Fee Payment will be available from 11.03.2019 to 01.04.2019.